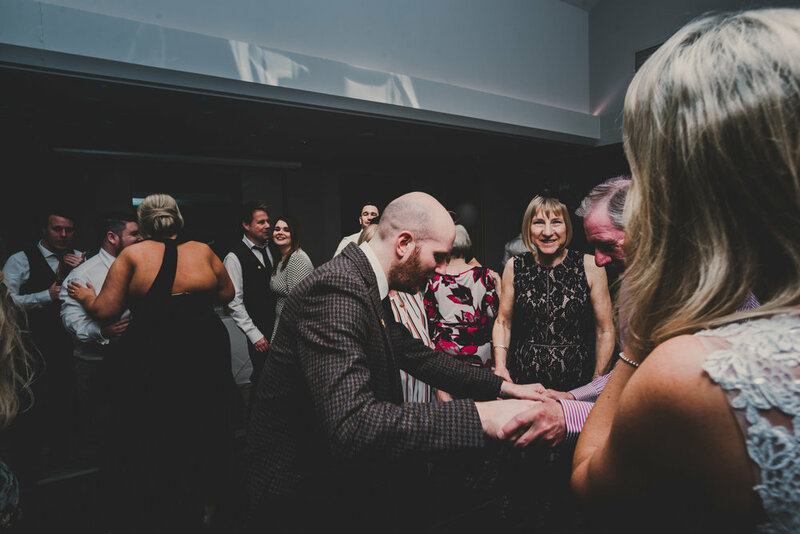 As a wedding photographer my job is to tell your wedding story through visual imagery, and boy is it bloody exciting when you get an amazing wedding with the most down to earth couple. 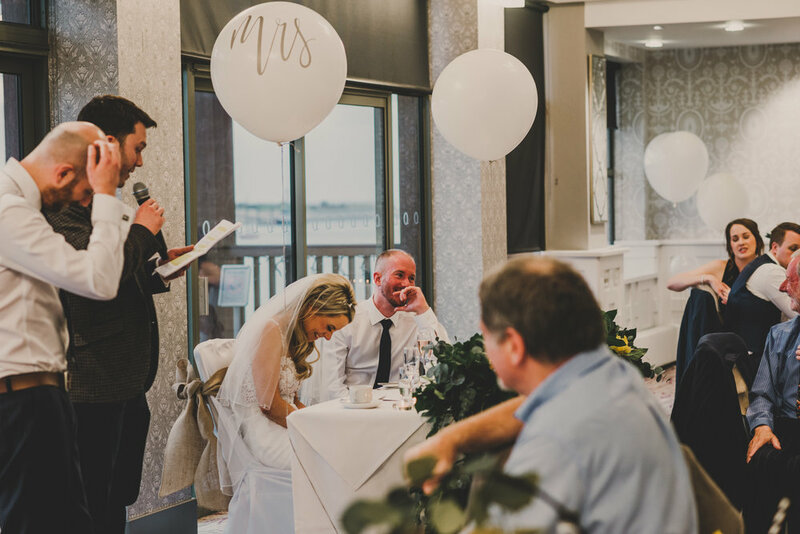 So you are probably wondering how this couple found me… simple… this was a referral, you see i shot Leannes Maid of honours wedding around 2 summers ago and that was epic. 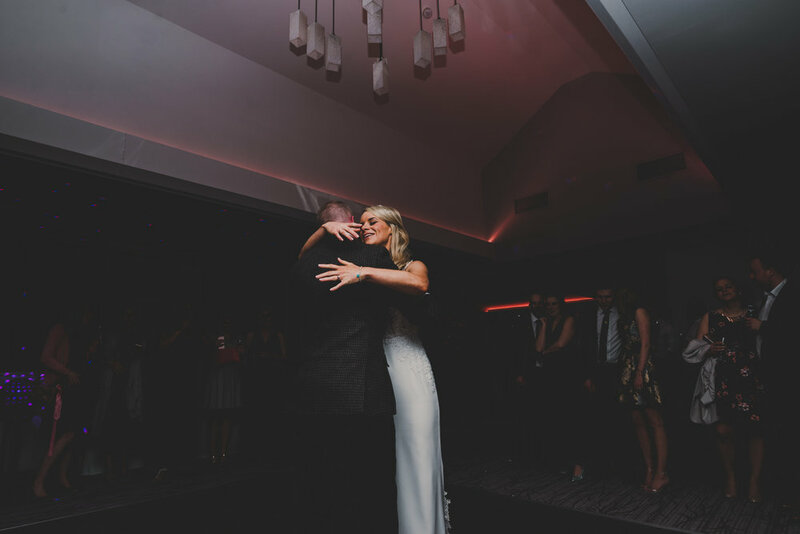 Leanne also stood out to me as her speech at that wedding was phenomenal… there’s nothing this girl can’t do. When i got the enquiry off this gorgeous couple i was overjoyed with excitement. Their day really was tremendous… the morning and day before saw absolute torrential rain, but by the time i arrived the sun was glistening over the sea, beaming bright… beautiful and warm, you’d easily have been mistaken for a glorious summers day… not St Davids Day. Their bridal prep and ceremony was dreamy, romantic, emotional and hysterical. We literally had the best confetti reactions ever and i even made it my mission to get Leanne onto a boat giving it had such sentimental meaning to her… mission accomplished.. 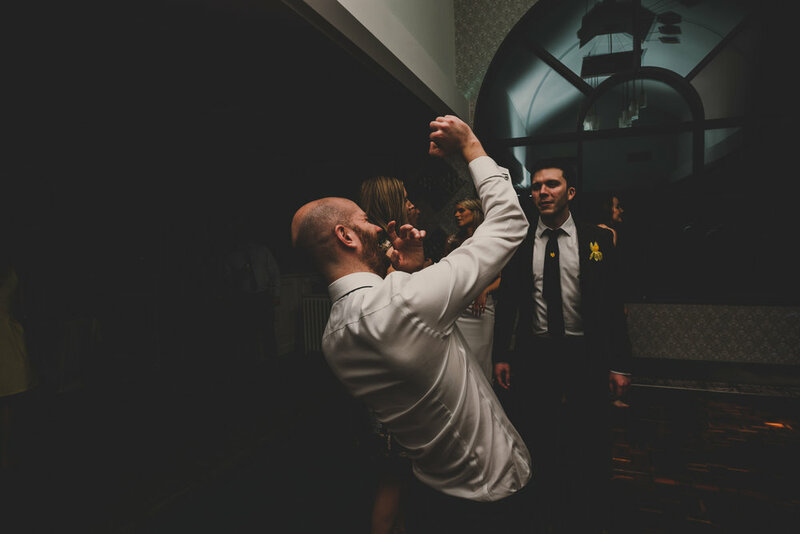 Finally their reception was epic, i don’t think i’ve ever seen so many different reactions to speeches, and then for the dancing… so many Men busting moves. Who are your wedding suppliers involved in magically creating your epic day? 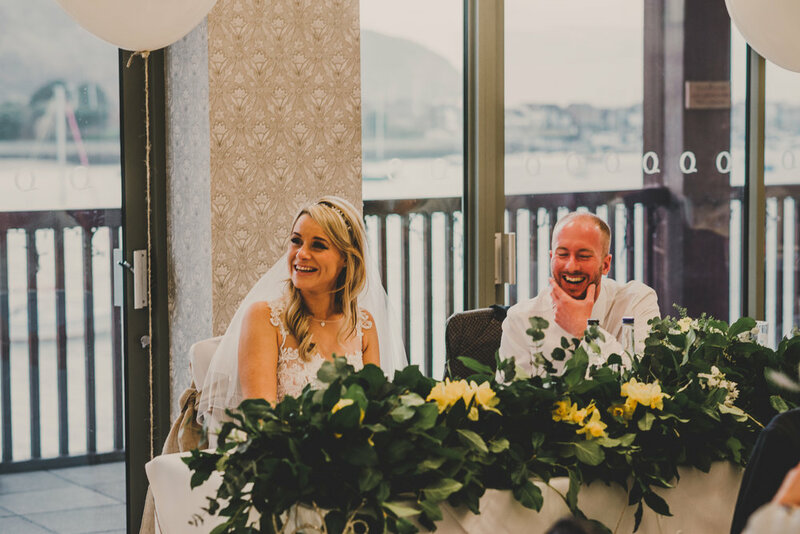 : So, for our suppliers, we went with our senses - we SAW how beautiful Carol from Cherri Blue’s floral displays were at an open day we attended at the Quay last year, so we chose her to be our florist. We TASTED Ceri’s amazing homemade cake at Jon’s best man Paul’s wedding, so commissioned her for ours. I HEARD the amazing George playing his guitar in Chester so asked him to sing at our big day. The staff that TOUCHED our hearts looking after loved ones now departed made us choose favours from Marie Curie. 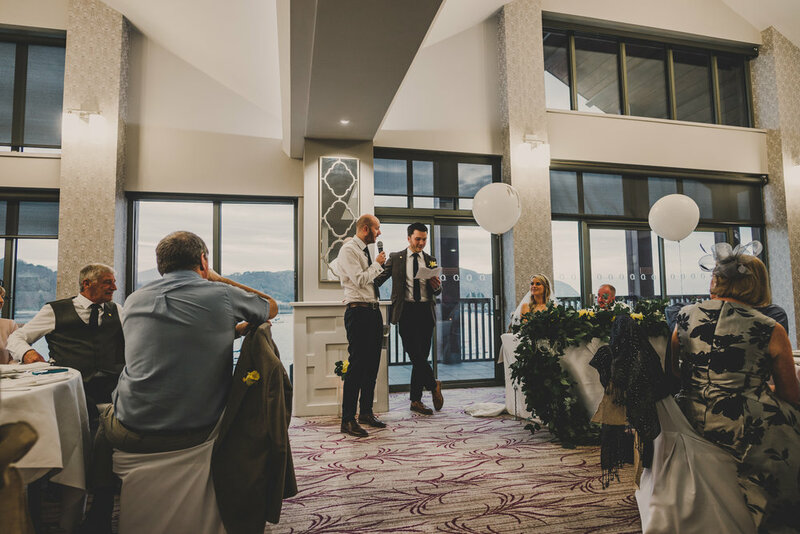 The SMELL of the welsh sea air was the inspiration for chosen venue, the Quay. 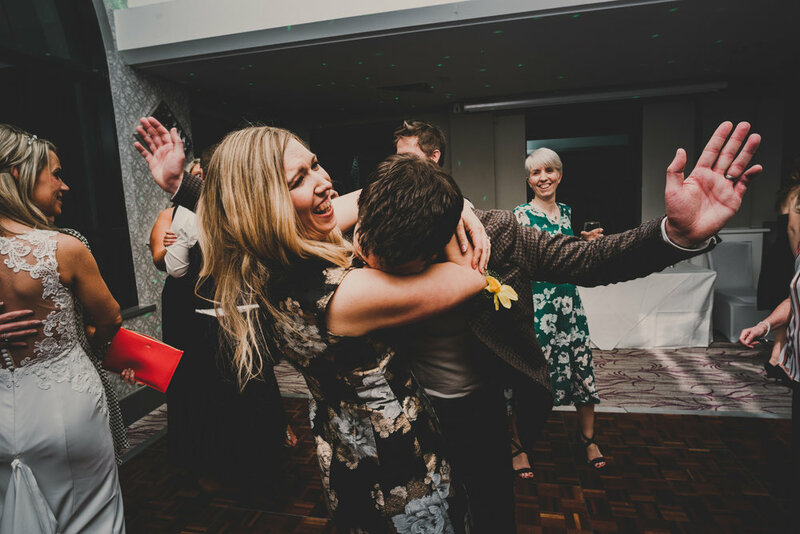 Your special details: We met on the dancefloor during university - me post-shift at my part time job and J post-football tournament - totally impromptu, totally epic and totally showed our shared music taste, love of dancing and sense of fun. I had the biggest of hair, he had the craziest of socks! 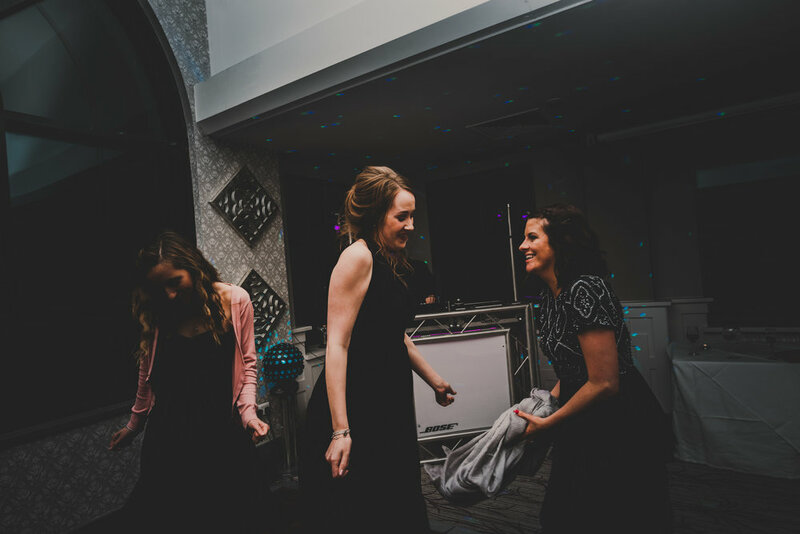 We knew each other through a mutual friend and had met a handful of times, but we clicked that night and the rest is history.